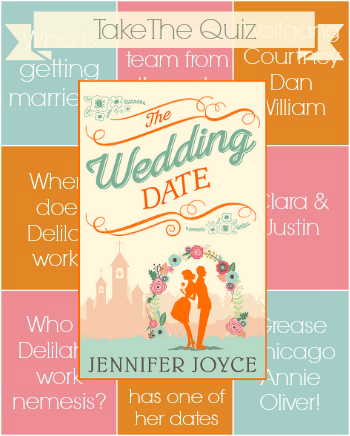 If you've read The Wedding Date, you can now test your knowledge by taking the quiz over on Goodreads. Can you remember which musical is Delilah's favourite? Who her besties are? So, with her two BFFs playing Cupid, Delilah launches herself into the high-tech, fast-paced and frankly terrifying world of dating. Luckily there’s the hot new guy at work, Adam Sinclair, to practice her flirting on – even if, as a colleague, he’s strictly off-limits! Yet time’s running out and date after disastrous date forces Delilah to tell a little white lie – and invent a fake boyfriend! But will her secret crush on Adam ruin everything? Does she even care about Ben anymore? And is it too late to untangle her web of lies and take a real date to the wedding…?